In this post, we’ll discuss the article published in JAMA “The Effects of Acupuncture vs Sham Acupuncture on Live Birth Rates Among Women Undergoing In Vitro Fertilization” (1). I know, these comments may include technical jargon, which may be hard to understand for a lay person. This post is mostly for healthcare providers helping them understand this particular study. How many acupuncture treatments do you need to improve IVF outcomes? Our own analysis of IVF acupuncture studies has shown that the treatment protocol for IVF patients needs to take into account your specific situation. Furthermore, the results can be significantly improved when we use the comprehensive approach of TCM diagnosis and make use of both acupuncture and herbal medicines 3+ months leading to IVF. And our colleagues who did their research agree. Furthermore, below is a study published this month suggesting that three acupuncture sessions around the day of embryo transfer are insufficient intervention. There are situations where you will not have enough notice, or you will learn about acupuncture late in the IVF process. It may be not too late. You can still benefit from a shorter course of treatment. As an example, studies have shown that when done correctly, even four acupuncture sessions can improve uterine blood flow. If you’re willing to benefit from this treatment, please get in touch with us as early as possible. If you started IVF and you feel like it’s too late don’t worry. There are still ways how we may help improve your chances of success. When we apply the correct approach, we can make a difference even after you’ve started IVF. If your fertility is on the rapid decline because of your age, or other factors, delaying IVF to boost your fertility may not be wise. We take every aspect of your reproductive and general health into consideration. During your initial appointment, we discuss all options with you so you can choose. We’ve prepared a lecture on the strategies of designing optimal individualised acupuncture protocol. This lecture soon will be available via a leading continuing medical education provider shortly. Get in touch if you’re interested to learn about the optimal protocol for IVF Acupuncture. In this study, researchers investigated how acupuncture influenced ovarian reserve in women who had low ovarian reserve or “very few eggs left”. They used a kind of acupuncture with no needles, where very gentle electric impulses are used to stimulate acupuncture points. This study has shown improved the hormone levels including Anti-Müllerian Hormone (AMH). AMH test is a test often used by IVF clinics to estimate response to the IVF drugs. Researchers observed increased number of eggs collected with IVF. The embryo quality was also improved. Consequently, women who had acupuncture had better IVF pregnancy outcomes. The study was published in The Journal of Obstetrics and Gynaecology Research. Are you interested in learning how your fertility can be optimised with acupuncture? Contact Dr Vitalis Acupuncture Auckland. Interested know how reproductive acupuncture scores against medication at improving ovulation and ovarian health? One of the causes for anovulation is luteinised unruptured follicle syndrome (LUFS). LUFS affects 5%-10% of healthy women of childbearing age and 25%-43% of women with infertility. This syndrome is more common among women diagnosed with endometriosis. Most commonly LUFS is diagnosed during series of ultrasound scans. In women with LUFS the dominant follicle will grow bigger than usual (up to 4 centimetres). The follicle will undergo the luteinisation process, but it will not rupture during the midcycle to release the mature egg. Progesterone secretion will increase, the endometrium will undergo the secretory changes. Your won’t be able to see any difference in your period. The menstrual flow will be no different to healthy menstrual cycle; but, obviously, if oocyte is not released, fertilisation and pregnancy cannot happen. Pathogenesis of LUFS is poorly understood. The main treatment is ovulation induction with hCG hormonal injection or Chlomiphene. These treatments are a risk of hyperstimulation syndrome and other side-effects. Effects and mechanisms of acupuncture and moxibustion on reproductive endocrine function in male rats with partial androgen deficiency. Ren Y1, Yang X1, Zhang Y2, Wang Y1, Li X1. Impact of whole systems traditional Chinese medicine on in-vitro fertilization outcomes. Hullender Rubin LE1, Opsahl MS2, Wiemer KE2, Mist SD3, Caughey AB3. 1 Oregon College of Oriental Medicine, 75 NW Couch St, Portland, OR, 97210, USA; Oregon Health and Science University, Portland, OR, USA; Portland Acupuncture Studio, Portland, OR, USA. Electronic address: lrubin@ocom.edu. 2 Poma Fertility, Northwest Center for Reproductive Sciences, Kirkland, WA, USA. 3 Oregon Health and Science University, Portland, OR, USA. Can acupuncture help 35+ year old pregnant women reduce pregnancy risks? Women of this age, are a high risk for developing stillbirth and fetal growth restriction among other complications. This study, published in Journal of Physiology, researchers from the University of Manchester, UK concluded that the blood flow to placenta may be the reason for increased risks. Acupuncture increases the blood flow to uterus. Use acupuncture in pregnancy as a preventative measure to reduce the risks for the developing baby. PCOS can improve with acupuncture treatment. More research looks into the mechanism of it. One of the lead researchers in PCOS and acupuncture Dr Elisabet Stener-Victorin from Sweden has long suspected that acupuncture may play a role in regulating blood glucose levels and helping with insulin resistance. 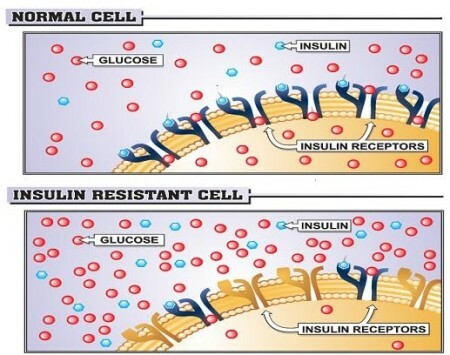 Insulin resistance is one of the features of PCOS. This study put the theory to test. The study revealed acupuncture increases whole body glucose uptake during and after stimulation in women with polycystic ovary syndrome. See the abstract and a full text of the study below. This study shows acupuncture in IVF patients decreases the risk of ovarian hyperstimulation. And while it has some limitations, we need to take the results into account while choosing the right acupuncture protocol for each IVF patient. The study was published in Chinese Journal of Integrated Traditional and Western Medicine. [Effect of electro-acupuncture on clinical outcomes and ovarian hyperstimulation syndrome in in vitro fertilization and embryo transplantation]. Department of Gynecology, Nanjing University of Chinese Medicine, China. OBJECTIVE: To observe the effect of electro-acupuncture (EA) on clinical outcomes and the occurrence of ovarian hyperstimulation syndrome (OHSS) in in vitro fertilization and embryo transplantation. IVF Frozen Embryo Transfer (FET) patients benefit from Acupuncture. This helps us understand how Acupuncture benefits fertility. Acupuncture improved the chances of triple-line pattern endometrial lining. It has been shown in studies that triple-line pattern is associated with good IVF outcome. Endometrial perfusion (blood supply to the uterine lining) is an important factor in the process of implantation. The study found greater endometrial and subendometrial vascularisation following a series of acupuncture treatments leading to embryo transfer. Acupuncture improved HOXA10 expression. Higher HOXA10 is associated with greater endometrial receptivity and good pregnancy outcomes. HOXA10 expression is lower in the uteri of women with hydrosalpinx, PCOS, and endometriosis. 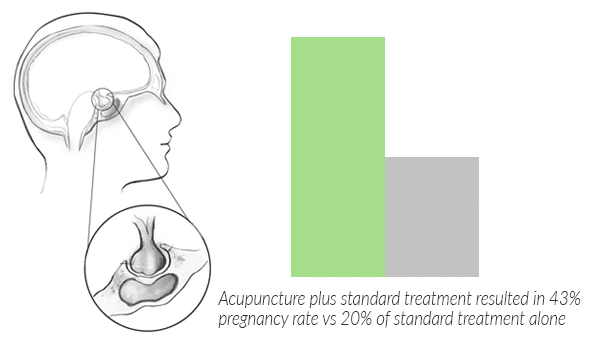 How much acupuncture should you have to see those enhancements to your fertility? Women in this study had six acupuncture sessions per cycle for three menstrual cycles. Stress reduces sperm quality, is acupuncture the answer? Impact of stress on female infertility and pregnancy has been well documented. Below study, published in the journal of Fertility and Sterility, shows male reproductive health is similarly affected by it. The researchers are confident the correlation between stress and sperm parameters is clear. Acupuncture has been shown to improve sperm quality, it has also been shown to help with stress. Researchers at the Georgetown University Medical Center have shown that acupuncture interferes with the very mechanism of stress. http://infertility-acupuncture.info/wp-content/uploads/2015/03/Infertility-acupuncture-logo-300x152.png 0 0 Vitalis Skiauteris http://infertility-acupuncture.info/wp-content/uploads/2015/03/Infertility-acupuncture-logo-300x152.png Vitalis Skiauteris2014-08-01 14:46:482018-02-12 16:44:49Stress reduces sperm quality, is acupuncture the answer? Too much stress is a serious factor affecting your fertility. The study published in the Journal of Human Reproduction found that stress can lead to two-fold increase in infertility among women trying to conceive for one year. Are you trying to conceive and are stressed? Perhaps it’s a good idea to consider acupuncture. It interferes with the very mechanism of stress. Acupuncture has been shown to increase the uterine blood flow (decrease uterine blood impedance). But does the uterine blood flow really matter when you’re having an IVF? This study provides the answer. 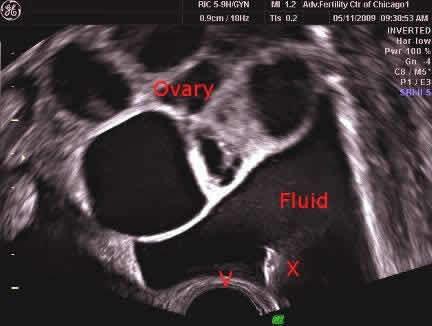 The researchers used special ultrasound technique to measure uterine blood flow. They found that it had an immense effect on both pregnancy and implantation rates. IVF with women, who had the lowest blood flow (PI>3) on the day of transfer, unfortunately didn’t result in any pregnancies.